"The Chemo Paintings" looks at a time when Dorothy Bryan the artist, wife and mother became Dorothy Bryan the cancer patient. Throughout the period from prognosis through recovery, Dorothy the artist continued to function, sometimes with great physical difficulty. The art, eventually grouped together as a ten piece series, created during her illness helps provide a unique insight into some of the issues faced by a cancer patient. With the physical impact of the disease and treatment came potential losses in her lifestyle, personality, control and privacy... the aspects of daily living that helped define who Dorothy Bryan was. 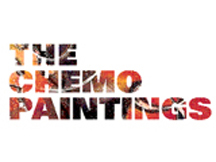 "The Chemo Paintings" also speaks to the emotions of a cancer patient and a patient's family.